Today, after nearly 9 and a half years and three billion miles traveled, the space probe New Horizons reached its destination: Pluto. New Horizons is the first mission of the National Aeronautics and Space Administration’s (NASA) New Frontiers program. Launched in January 2006, the mission’s primary goals are to map the surfaces of Pluto and its largest moon, Charon; characterize the geology of Pluto; study the atmospheric conditions of Pluto; and search for rings or additional structures around Pluto before moving deeper into the Kuiper belt. 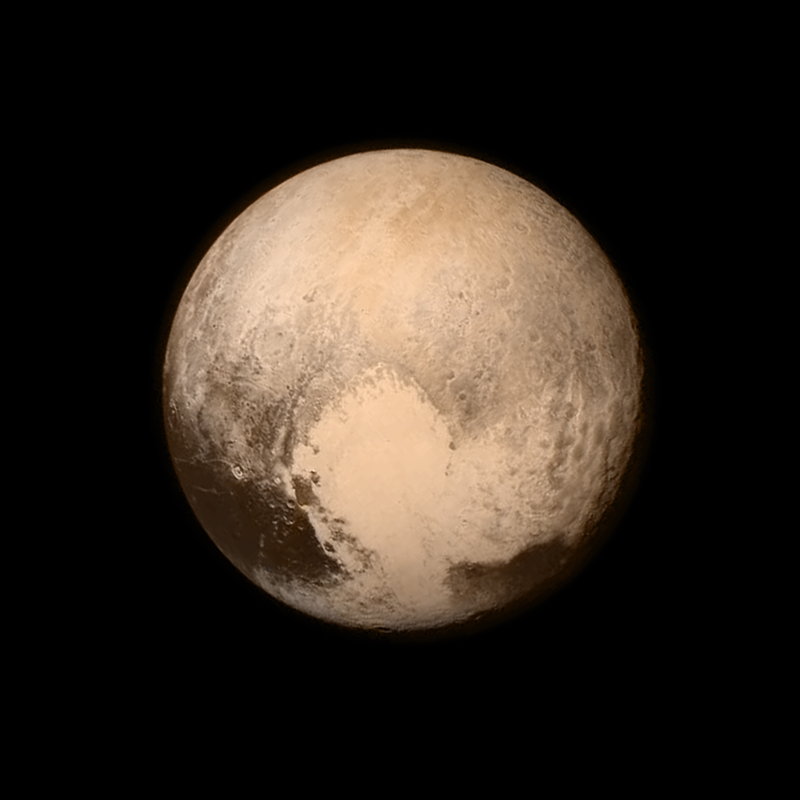 On July 14, 2015, New Horizons passed within 7,800 miles of Pluto’s surface. For perspective, the Earth is over 238,000 miles from the Moon. The mere fact that New Horizons was able to pass so close to an object so far away is awe-inspiring. The scientific findings from the mission will provide astronomers with invaluable information on the nature of Pluto and the Kuiper belt. We can all celebrate the scientific achievement of humankind, but what if I told you that the New Horizons mission almost never happened? Space exploration takes cooperation from a large number of individuals, industries, government agencies, and Congress. At the Albert Gore Research Center, we are currently processing the papers of Representative Bart Gordon (D-TN, 1985-2011). 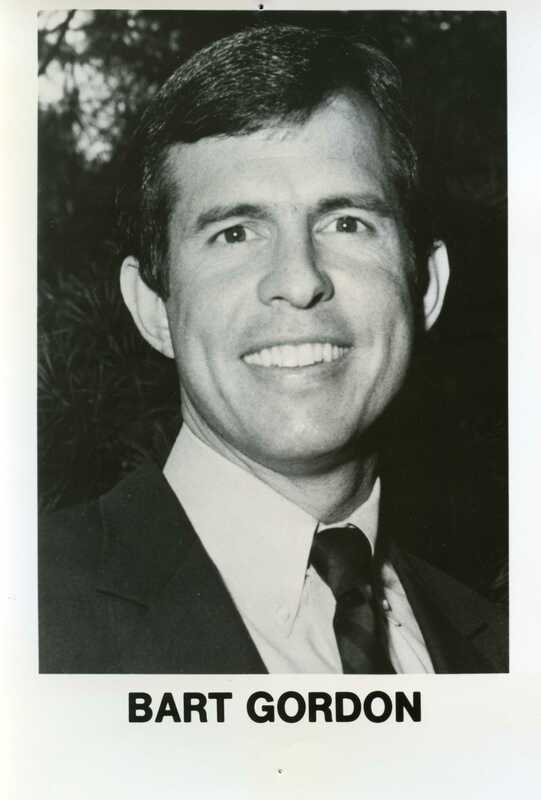 For many years of Gordon’s tenure in the U.S. House of Representatives, he was a member of the Committee on Science and Technology. He even chaired the Committee in the 110th and 111th Congresses (2007-2010). In his Congressional Papers, there are records pertaining to the New Frontiers program and New Horizons. The drama started to unfold during Subcommittee on Space hearings on the NASA expenses in the 2003 budget. In 2000, NASA had cancelled a planned mission to Pluto and the Kuiper Belt due to ballooning costs. The following year, NASA awarded a new contract for the mission, cutting the costs by over $200 million. The Science Committee apparently backed this decision. Fast-forward to the budget for 2003, however, and NASA had again pulled support for the mission. The Office of Management and Budget (OMB) had completely cut funding for the mission with NASA’s support. In the Subcommittee on Space, Congressman Gordon wanted to know why the mission was scrapped. The answer was seemingly that NASA planned to replace its existing missions to outer planets (those in our Solar System past Mars) with the New Frontiers program. The proposed New Frontiers program would cap missions at $650 million. However, this explanation did not satisfy Gordon and the other members of the Space subcommittee. The price for the already planned Pluto-Kuiper Belt mission was $499 million, which fell within the cost requirement of New Frontiers. The Subcommittee also asked whether or not a planned National Academy of Sciences’ study on the priorities of space exploration would influence the New Frontiers program. NASA apparently did not provide satisfactory answers to these inquiries in the February 2002 budget hearing. At a May 2002 hearing before the entire Committee on Science and Technology, the Committee labeled “NASA’s Outer Planets Strategy” as the primary “Major Issue” to be resolved in the session. By this point, however, NASA had stated that New Frontiers missions would follow the National Academy of Sciences study, due to be released in July of 2002. With that in mind, the Committee wondered whether the existing Pluto-Kuiper mission would be reinstated if it were deemed a priority. They noted that a 2006 launch would be necessary to take advantage of a gravity-assisted speed boost from Jupiter, and that Pluto needed to be reached before its atmosphere froze in 2020. 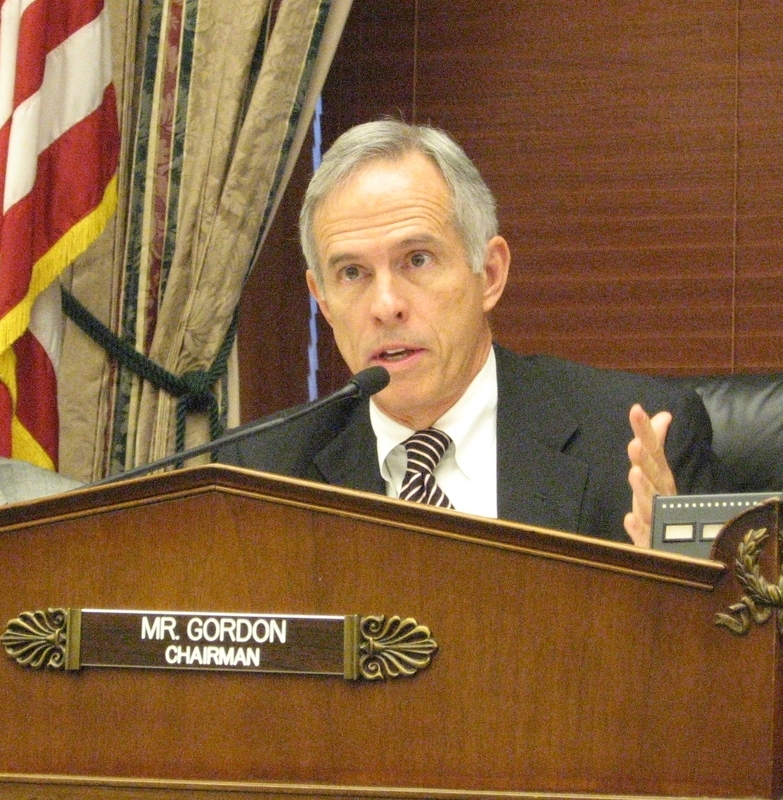 Rep. Gordon as the Chairman of the Committee on Science and Technology, 2009. In an internal memo addressed to Rep. Gordon from Richard Obermann, Chief of Staff for the Committee, Obermann wrote, “NASA’s explanations for why it will not support the New Horizons mission sought by Congress have been a bit unclear.” They cited a lack of funding in the 2003 budget, but “that is simply the result of NASA/OMB’s prioritization,” Obermann responded. The Committee also wondered if NASA was delaying the mission to try to maximize the potential scientific output. This would be a mistake, they claimed, citing the failure of the 1990s mission “Mars Observer.” The mission was extremely expensive, and failed in part because “it was seen to be the only mission going to Mars for the foreseeable future, and the temptation to add scientific objectives became irresistible.” The Committee wanted to make sure that this would not happen again with a Pluto mission. At the hearing, the Committee asked Dr. Edward Weiler, NASA Associate Administrator for Space Science, “What is the strategy for the ‘New Frontiers’ outer planets program, and could a mission to Pluto be considered within that program?” Weiler responded that although the window for launch was rapidly approaching, NASA believed that “a Pluto-Kuiper Belt mission should not be pursued at this time” due to budget problems, technical and schedule challenges, and the ongoing review of planetary priorities. Although the issues were not resolved at the May hearing, the National Academies of Science review panel announced in July of 2002 a mission to Pluto ranked as the top scientific priority for space exploration. The decision effectively backed up the Committee’s desire to see the New Horizons mission reinstated. The ranking compelled NASA to refocus on Pluto and the Kuiper Belt as primary objectives of Solar System exploration. In the hearings on the 2004 budget, NASA’s lack of support for the New Frontiers program had become a thing of the past. The Committee on Science and Technology—and Rep. Gordon—had gotten what they wanted: support for New Horizons and the exploration of Pluto and the Kuiper Belt. For more information on Representative Bart Gordon, see The Bart Gordon Papers. The Bart Gordon Papers are currently being processed. The Committee on Science and Technology Series is partially processed and available for research. Please consult with the archivist, Jim Havron, for more information on the availability of the Bart Gordon Papers.